Tullipan homes are experienced in knockdown/rebuilds and we can work closely with you to ensure the most cost effective result. 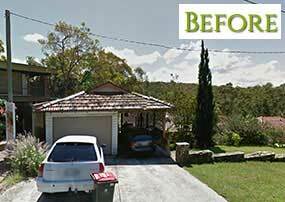 A: Tullipan Homes is one of Australia’s leading Knock Down and Rebuild (KDRB) specialists. In addition to our high level of experience as Custom home builders, we offer many pre- designed homes for sloping sites with the ability to apply unlimited modifications to our designs. The fact that many of our designs have been specifically created to capture views and marry with the contours of a range of varying land profiles has meant that Tullipan Homes is in constant demand, engaged continuously to replace existing dwellings in highly sought after locations from selected areas of Sydney to the entire Central Coast & Hunter Valley areas. A: Our current client base stems from home owners who may wish to retain their current location for reasons such as being in close proximity to a place of work, keeping children in the same school, saving on stamp duty and all the conveyancing fees associated with relocation, relationships with neighbours, favoured local shop and club memberships and other attachments formed over the years. Other common reasons for KDRB can derive from properties obtained through inheritance or properties recently purchased with the intention of renovation or rebuild. A: Other than the obvious situation where you simply cannot find a vacant parcel of land in your desired location of choice, this may be one of the hardest questions you could ever face. Every redevelopment case is individual and ultimately many factors will influence your decision as to whether to rebuild or renovate. You first need to decide on the amount of renovation which would be required for you to achieve your ultimate family home. If it’s the case that simply adding a couple of additional bedrooms and an extra living room, for example, may satisfy your requirements, and the majority of the existing building is of an acceptable standard, then it may very well be the case that renovation is your best option. If your assessment concludes that you require a brand new kitchen, fully renovated bathrooms, room modifications and additions, a new exterior cladding and a new roof, on the other hand, then in that situation we can advise from experience that KDRB will prove the less expensive option. Choosing KDRB means that, with very little upfront expenses, you can easily obtain quotes from builders to demolish the existing dwelling and provide a detailed tender for the new dwelling. 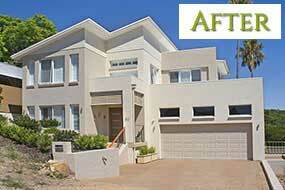 The alternative of receiving pricing for major renovation works is a whole new ball game. Firstly you narrow down your options of Builders (for example Tullipan Homes do not undertake renovation works, only new dwellings). Many of the leading builders are aligned with us in this respect. Your efforts to gain pricing for renovation works will be contained mostly to small operators. 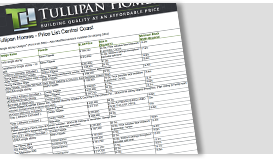 These builders and/or tradespeople may not possess the buying power of builders like Tullipan i.e they more than likely won’t have the strong purchasing power that is earned with well established builders producing large volumes of housing. These builders will also require many documents in order to prepare a tender: items such as Council approved plans and conditions of approval, structural engineer details, full project specifications etc. These documents will take you time and considerable expense to achieve, only to find out that the cost of renovation far exceeds the cost of KDRB. The outcome will be that you now have less from your overall budget to allocate for new construction. Functionality of your new home design. Unlike renovations works, you are not forced to work with existing positions and/or dimensions/orientation of rooms. Your desired ceiling heights and floor levels can be obtained with ease and balconies/living areas bedrooms, windows and doors etc can be located in the most ideal positions to capitalise on the views and solar amenity that your site has to offer. When you simply add onto an existing old home, your options will certainly be limited. You should consider that you may also be wasting your hard earned finances on an existing structure which may have pre-existing complication, such as: low energy efficiency, poor natural lighting, physical access for termites and/or pests which cannot be corrected, leaks or rising dampness issues, foundations with poor bearing capacity which may fail to take the additional loads etc. The list goes on. A: In order to access your New Home site, you will first need to provide us with a detailed survey of your land. This is something for which we can provide a quotation for you or you can provide us with your own survey. Without a survey, it is impossible to work out the levels of your land and advise a suitable design. Location of all existing dwelling’s and/or structures on the site, fences, retaining walls, paths, driveways and the likes. Location of all existing trees on site. All of these items are included on the survey to create a satisfactory site analysis plan. Once we have obtained this survey, we may request a site meeting with you so that we are able to gather your knowledge of your site and view all the characteristics of your land that may be relevant to any advice we give in relation to a suitable new home design for your site. A: This is a very common question. Our answer is that you should not be influenced by the existing development on your site when selecting the ideal new home design. One of the major benefits of rebuilding is that you have the chance to correct any design flaws of the past development on your site. Of course your experience of living in the existing dwelling will play a major part in the selection of your new design. Any benefits of the existing building should be retained and any negatives corrected. When we consolidate our thoughts in the lead up to suggesting suitable designs for your site, we consider the pre-developed (original virgin earth) characteristics of your site. Any mistakes in the position and levels of existing buildings and the previous selected home profile, excavated levels etc can be corrected by the rebuild process. 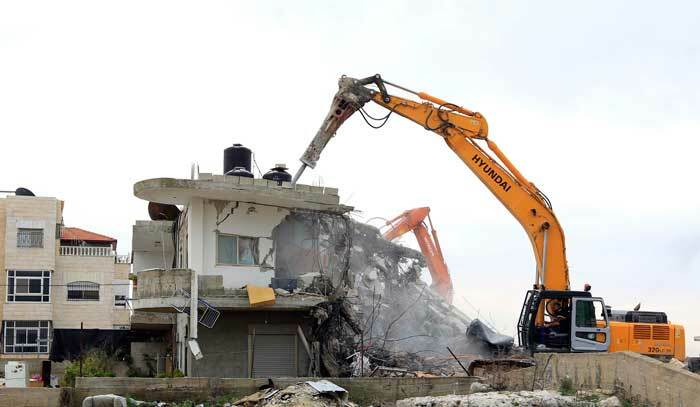 At Tullipan Homes, we take care of the whole process for you, from choosing the demolition team to design and council approval to development of your home site. Please visit one of our two stunning display homes today to talk about your options and the products and services we have on offer.